PULLMAN, Wash. – Washington State University researchers have received a four-year, $2.5 million grant from the National Science Foundation to increase Native American students’ STEM learning, engagement and achievement. Because it deals with Indigenous STEM learning, the project is called “ISTEM” and will be done in coordination with Pacific Northwest Plateau Tribes. 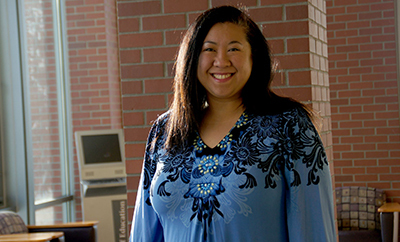 Zoe Higheagle Strong, clinical assistant professor in the College of Education’s educational psychology program, as well as a member of the Nez Perce Tribe. Kim Christen, an associate professor in the Department of English, as well as the director of digital projects at the Native American Programs’ Plateau Center. Alex Merrill, head of systems and technical operations for WSU Libraries. Francene Watson, clinical assistant professor of cultural studies and social thought in education, as well as director of the Clearinghouse on Native Teaching and Learning. This team will work with three Pacific Northwest Plateau Tribes, including the Confederated Tribes of Warm Springs (Warm Springs Tribe), the Confederated Tribes of the Colville Reservation (Colville Tribe), and the Coeur D’Alene Tribe. More than 500 Native American students in grades 4-9 will participate in ISTEM learning opportunities at their respective tribal school during the academic year. This includes roughly 80 middle school students annually who will participate in enrichment programs at WSU Pullman, including field trips during the academic year and residential ISTEM summer camps. The College of Education’s Learning and Performance Research Center will run program evaluation. The ISTEM project is not just about teaching technology, or replacing one learning system with another. Price said this project specifically will work with tribal leaders and educators from cultural/heritage and language departments to design the ISTEM unit modules. In doing this, all participating parties would utilize tribal knowledge, as well as cultural materials that have been uploaded by tribal leaders into the Plateau Peoples’ Web Portal, an award-winning online library curator that WSU has developed. Because many of the teachers at tribal schools are not tribal members, there will be a strong professional development centered on culturally responsive teaching practices. Fusing technology and Western science with Indigenous knowledge systems is a good thing, Price said.